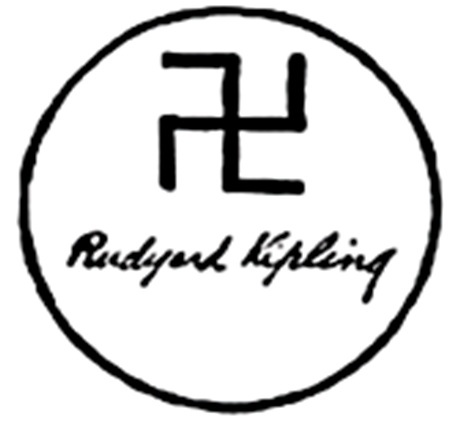 Rudyard Kipling is out of favor, in large part because his work was so politically and racially incorrect. One of his suppressed poems is “The Burden of Jerusalem,” which is considered “anti-Semitic.” Indeed, several of his poems have social or racial themes that render them verboten. 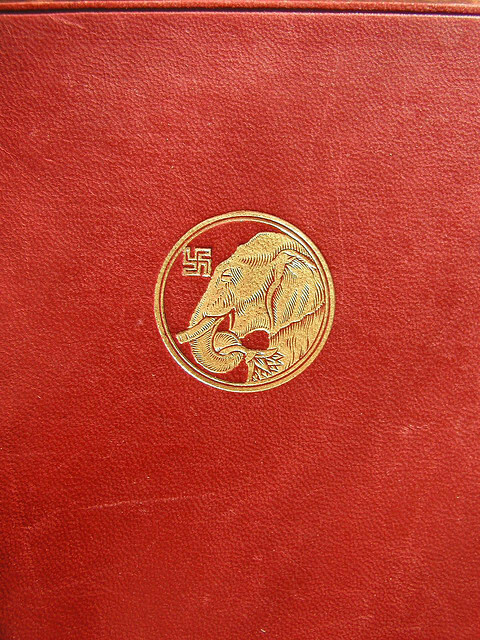 His books even had swastikas—Aryan Indian symbols—in both right- and left-facing orientations on their covers or title pages. In “Mr. Eliot’s Kipling,” a review of T. S. Eliot’s edition of A Choice of Kipling’s Verse in the Left-wing Nation magazine in 1943 , Jewish chauvinist Lionel Trilling expressed disdain for Eliot’s admiration for Kipling, and drew analogies between the two poets. He also accused Eliot of anti-Semitism. The late Christopher Hitchens  published the two poems in an anti-white book he wrote, Blood, Class, and Nostalgia: Anglo-American Ironies (1990), pp. 86–93, which is where I first read them. He reissued the book with a new preface in 2004 as Blood, Class and Empire: The Enduring Anglo-American Relationship. Again, this was 1943. How ultra-sensitive the “leaders of the Western world” were! Compare Kipling’s mild, inoffensive poem to the inexpressibly vile anti-white messages that pour daily into the impressionable minds of hundreds of millions of people the world over—including elites, alien and native—through television, motion pictures, songs, and video games—not to mention books and poems! It should be noted that despite the frequent invocation of Biblical motifs (primarily Old Testament?) 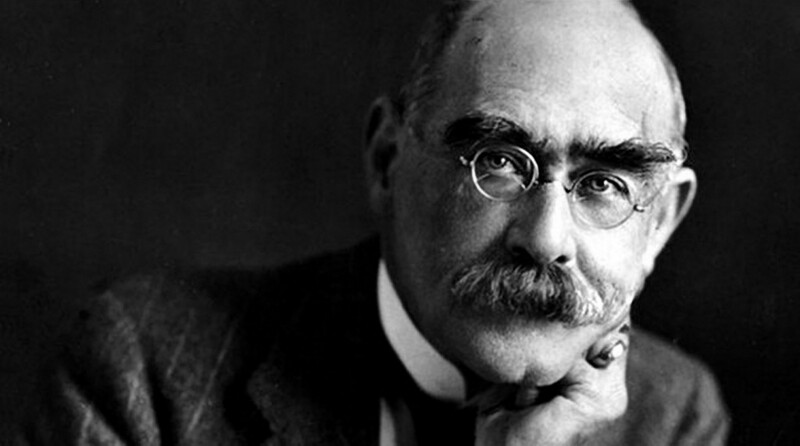 in Kipling’s work, he apparently was not a Christian . The Bible and its cadences were a literary, not a sacred resource for him. Moreover, he was a Freemason, and Freemasonry is incompatible with orthodox Christian belief, Protestant or Catholic. This year “The Burden of Jerusalem” was finally published with more than 1,300 other poems in a new book: Thomas Pinney, ed., The Cambridge Edition of The Poems of Rudyard Kipling , 3 vols. (Cambridge: Cambridge University Press, 2013). “Burden” can be found in Volume III: Uncollected Poems. 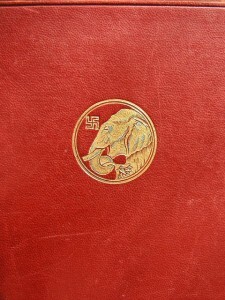 Cambridge University Press states  that this three-volume set is the first complete edition of Kipling’s poems, many of which had never been published before. The first complication is the form of the poem. I’ve used the format presented by Christopher Hitchens. In addition, an American Kipling collector who owns a typescript copy of the poem, and has published a bibliography of Kipling, describes the typescript copy in the British Library  as consisting of “seventeen 4-line stanzas,” which is consistent with the pattern I’ve followed. But the structure shown in a Web version of the poem  looks very different. 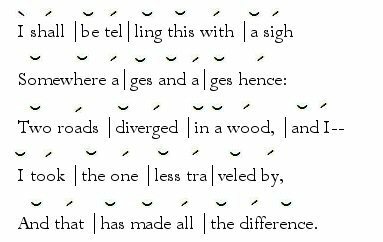 Most but not all stanzas are 7 lines long, and are markedly dissimilar, graphically, to the 17-4 version. It would be nice to know which format was used in the new Cambridge Edition, but I have not seen it. Here, each line has 4 feet (so, tetrameter), each of which is an iamb —a 2-syllable foot in which an unstressed syllable precedes a stressed syllable. Thus, the poem is written in rhymed iambic tetrameter. If you examine the fourth line in the final stanza (ignore the other lines)—”I took the one less traveled by”—you will see the metric pattern employed by Kipling in “The Burden of Jerusalem.” The small vertical lines divide the phrase into four feet, the stress marks above the syllables mark the accentual pattern. It is an iambic tetrameter line.